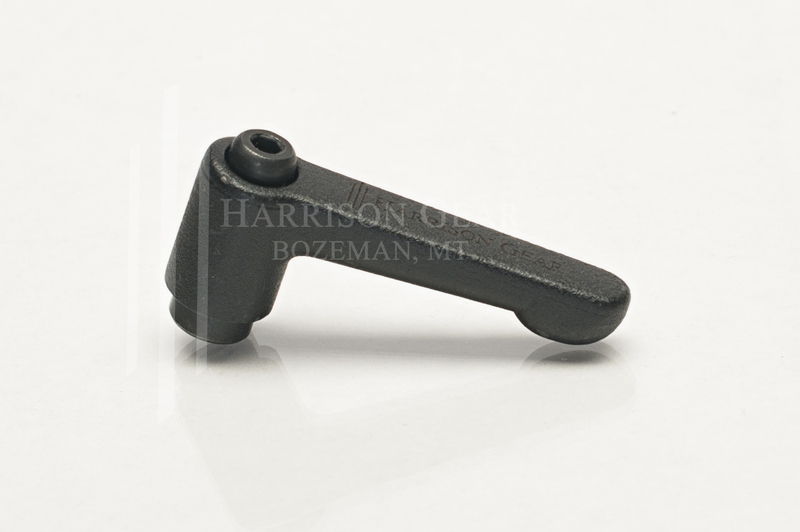 This small length adjustable ratchet lever can be used to replace the threaded thumb-nut on swivel bipod setups. 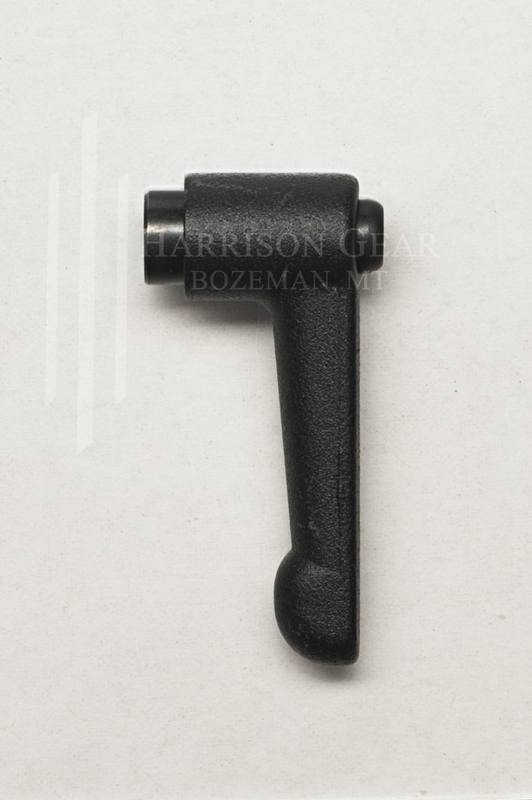 Our Levers fit all Harris "S" series (swivel) bipods and replaces the impractical tension knob. The handle is die-cast zinc with a low-gloss matte black powder-coat finish. 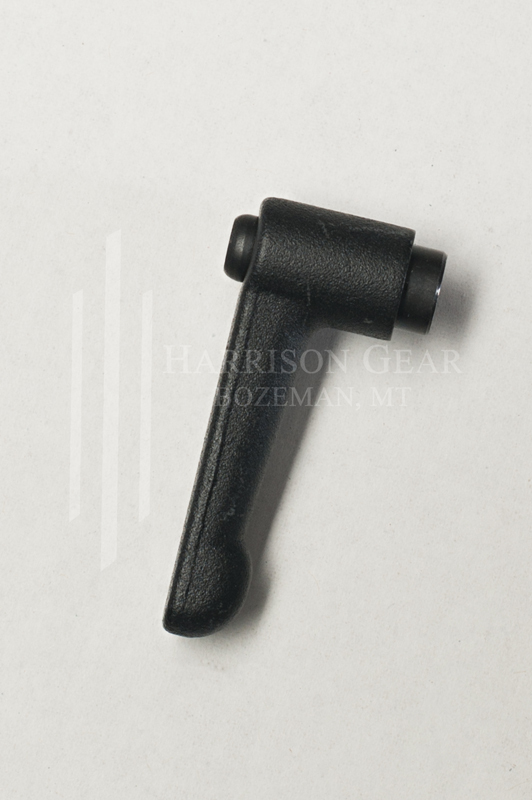 The metal insert components are made of steel with a black-oxide finish. A single 3/16" black-oxide spacer is included. Use the spacer with the lever to avoid trimming down your threaded stud. A typical retrofit should require only a single spacer. Harrison Gear, and our three bar logo is smartly laser engraved on the lever face. Honestly I have nothing but great things to say about this lever. I looked all over because I didn't want plastic. I finally saw a review on YouTube that led me to this. Fit perfect and functions perfect. What more do you want? Full disclosure, I'm the Owner of Harrison Gear LLC. That said, these really are a must have upgrade to the awesome Harris bipods. I only buy the "S" series bipods like the SBRM and the "S" in all Harris bipods just means they swivel. These were what we used in the Marine Corps on our M40 series rifles and work very well. They allow you to easily adjust the cant in the rifle so you can level out the gun quick (and with one hand). I have one of these on literally every set of bipods I own. Q: Whats better for my rifle, the straight lever or the nylon/stainless lever with a slight angle? Thanks for your question. The answer really will depend on your rifle setup. If you have a very compact rifle set up you may want to consider the straight lever. This will have less of the lever pointing back at you which might save you a little space. This generally only occurs on gas guns with shorter rail systems. Copyright HARRISON GEAR LLC. All Rights Reserved. eCommerce Software by 3dcart.